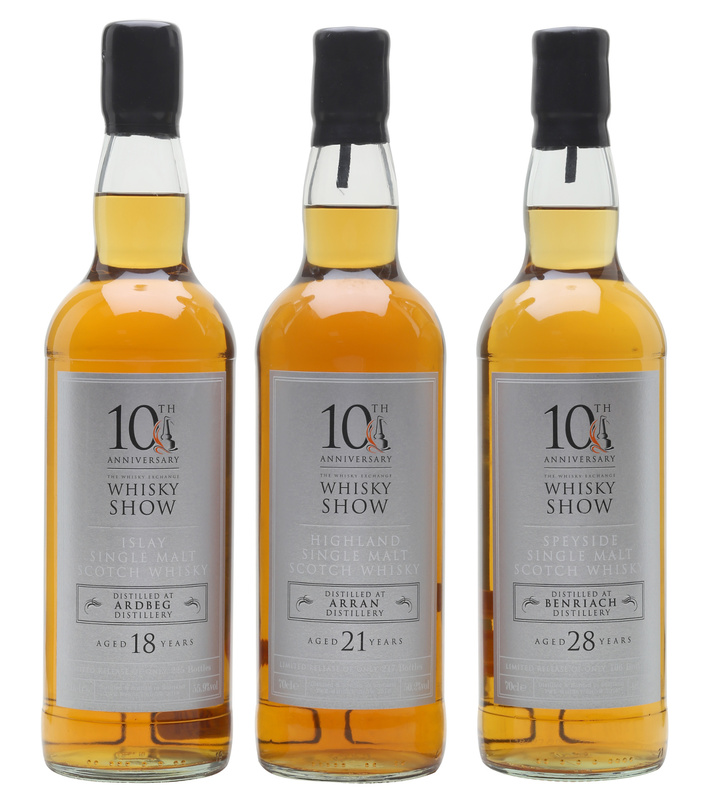 To celebrate the 10th edition of The Whisky Exchange Whisky Show, we bottled some extra special whisky. From old Invergordon, to rich and smoky Ledaig, and a super fruity Benriach, they were a huge hit at the show. We focus our show bottlings on each year's theme, developing not only the look and feel of the whiskies, but selecting casks that give an insight into our thoughts on the topic. 2018 is about the future of whisky, and we are looking back and forward to see where we've come from and where we are going. A set of three whiskies exploring the past, present and future. 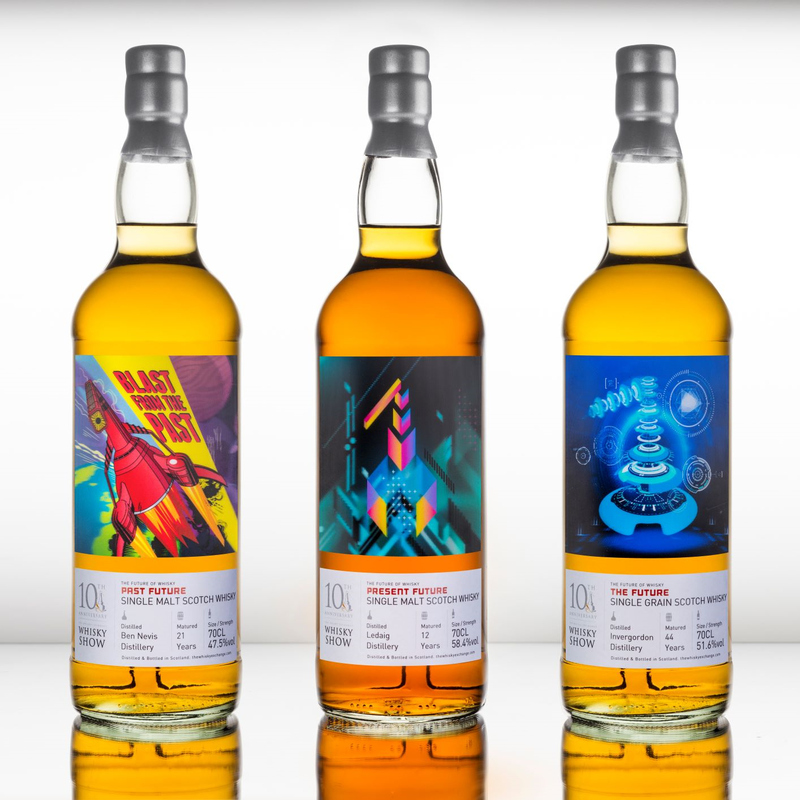 Each features an original design by Whisky Exchange creative director Raj Chavda, printed on a lenticular label. These moving, three dimensional images are incredible to look at, and reflect the quality of the spirit captured in each bottle. Palate: Ash, tar and rich chocolatey sweetness. Dark chocolate sweetness leads to After Eight mints, lemon Lockets, chocolate limes and salted caramel. Zingy menthol tingles on the tongue, along with a touch of icing sugar. Finish: Tar, black pepper and lingering sweetness - chocolate, candied lemon and a hint of lime. Nose: Toffee, caramel and varnished oak. Sultanas and dark brown sugar hide under the surface, pop-ping out in a burst of spicy lardy cake richness. The spice edges towards kola tonic sweetness as floral notes develop. Palate: Soft, rounded and rich. More toffee and caramel are joined by vanilla sauce and brulée topping. The burnt sugar notes build and get fruity - spiced tarte tatin with a ladleful of red-wine poached pears. The sultanas from the nose get jammy. Palate: Sweet to start but quickly balanced by char and gentle spice. Baked apples and vanilla sugar run through the middle, surrounded by sap and green leaves. A touch of water tames the space and reveals layers of orchard fruit. Nose: Wood-fired barbecues with smouldering limes and chill-rubbed bacon on the grates. The limey notes build, bakced by seaspray saltiness. Fruity touches follow: grilled apples and pears, hints of lychee and singed Sevilla orange.